Church Fundraisers and Ideas, Church Bake Sale Fundraising Flyer and Form, Church Dinner Fundraising Forms, Silent Auction Bid Sheets, Rent-A-Worker Fundraiser Form, Fundraising Accounting Forms, Fundraising Letters, Fundraising Request Forms, Policies & Much More..
Have certain church activities such as fun days, ect. 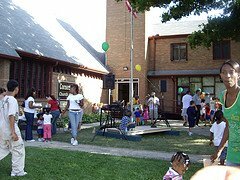 Every time you have a church fundraiser, you have the opportunity to extend the fundraising time beyond the course of the event. Learn how to make use of all the free resources on the internet to earn residual income for your church. The positive outcomes of having Church or Non-Profit Fundraisers are overwhelming, but first you must educate and equip your volunteers on Fundraising Tips and Techniques. 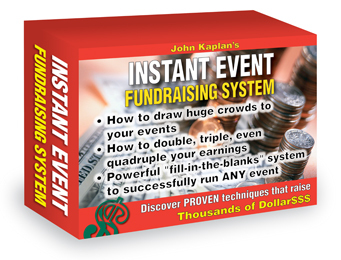 The Instant Event Fundraising System™ is just such a resource ... the only one of its kind ... developed through 30 years of hands-on experience with hundreds of community organizations of all types. Don't Wait...Click Here For More Information or to Purchase the "Instant Event Fundraising System"! Church Fundraising Letters (Samples) that your church can use to customize for their fundraising needs. If you could learn the right strategy, our organization could raise more money with less effort would you be interested? If yes, then you need to check out this great eBook to show you how to hold a successful raffle with the correct planning and care. 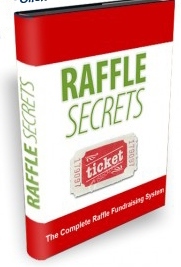 Click here for more information on the Raffle Secrets eBook. The Fundraiser Request forms and a sample policies are below. I hope you will find these helpful and I pray that God will Bless you in your fundraisers! Our church had an Indian Taco Benefit Fundraiser for a special cause and was able to raise a lot of money for a special family in need at that time. Those forms are free below if you would like to have them. Also, Easter Fundraiser Ideas below are available to raise funds during the Easter holiday along with many other fundraiser flyers and forms. Just download and print and start raising monies for your church. This great website will help you explore Church Fundraising Ideas for unique fundraisers and profitable events. Discover fun new ideas for raising funds within your community and on the internet. For a wonderful selection of ideas for church fundraising please visit our friends at Better Fundraising Ideas. They have ideas for church fundraisers sent in by people all around the world. To create your own custom cookbook with personal photos, stories and recipes click on the link below. Rewarding Church Fundraising Ideas- A website giving great advice on a wide range of profitable fundraising ideas for your church. Return to Home Page from Church Fundraisers.